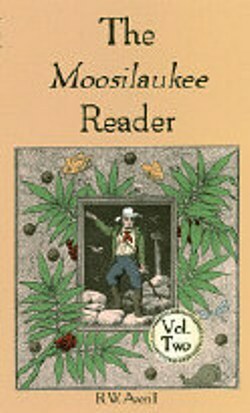 The Moosilaukee Reader, Volume II, edited by Robert W. Averill, 1999.The second part of this Mt. Moosilauke anthology is also sure to please the White Mountain enthusiast. Here are gathered another 24 wide-ranging essays from scientists, journalists, explorers, historians and others who have been captivated by the bald-topped mountain. One of the most fascinating pieces is Floyd W. Ramsey’s account of the World War II bomber crash on Mt. Waternomee. Illustrated with photos & woodcuts. 306 pp, 4 1/8” x 7”.